When I was about ten years old, my friend, her mom and grandma took a roadtrip to see the fall leaves in Amish country. The ladies in her family did this every year and I felt so special getting to be part of it. We set out one chilly morning, the car loaded with snacks and drove south into the hilly country decorated in the bright colors of fall. That day the leaves were bright — peak season and bright sunshine with my best friend. Who could ask for more? Leaves here in the southeast are just beginning to turn. River birch are turning yellow and the maples show a hint of red. Peak fall leaves season is coming! Plan a weekend trip to the mountains or day trip to your nearest state park to enjoy the special beauty of this season. Perhaps the best color is found along the Blue Ridge Parkway through the Smoky Mountains. Rent a cabin and enjoy the vibrant display up close and snuggle by the fireplace at night. The peak period to enjoy fall leaves in South Carolina’s Upcountry, the northwest corner of the state, is between the second and fourth weeks of October. Stay at a family friendly hotel in Greenville and enjoy everything the Upcountry has to offer. Head east and/or south into the rest of the state and enjoy the fabulous display through early November. Visit DiscoverSouthCarolina to learn more. Can’t make it south? Check out South Carolina’s awesome webcam at Table Rock to see the fall display right there on your computer screen! Thanks to the Appalachian State University Department of Biology, finding peak fall leaves in our North Carolina mountains is quite easy! To make a weekend of it, consider a weekend trip to Asheville. In Charlottesville, fall leaves display brilliant color from mid-October to mid-November, earlier at higher elevations. To make a weekend getaway of it, consider staying at Keswick Hall, a boutique hotel at Monticello that offers hiking trails, archery, spa and golf activities. For discounts, check here. The Clifton Inn, located in the same area, offers luxurious accommodations in the heart of the Blue Ridge Mountains. Check TripAdvisor for more traditional hotel options in this area. Just look at this stunning photo of Monticello, such vibrant color! Pack the car and go! Whether taking a day trip drive into the country or escaping for a weekend, enjoying the vibrant display of fall leaves is sure to create memories to last a lifetime. What’s your favorite place to experience the autumn’s grand display? Let us know! You can share your photo with us, too. 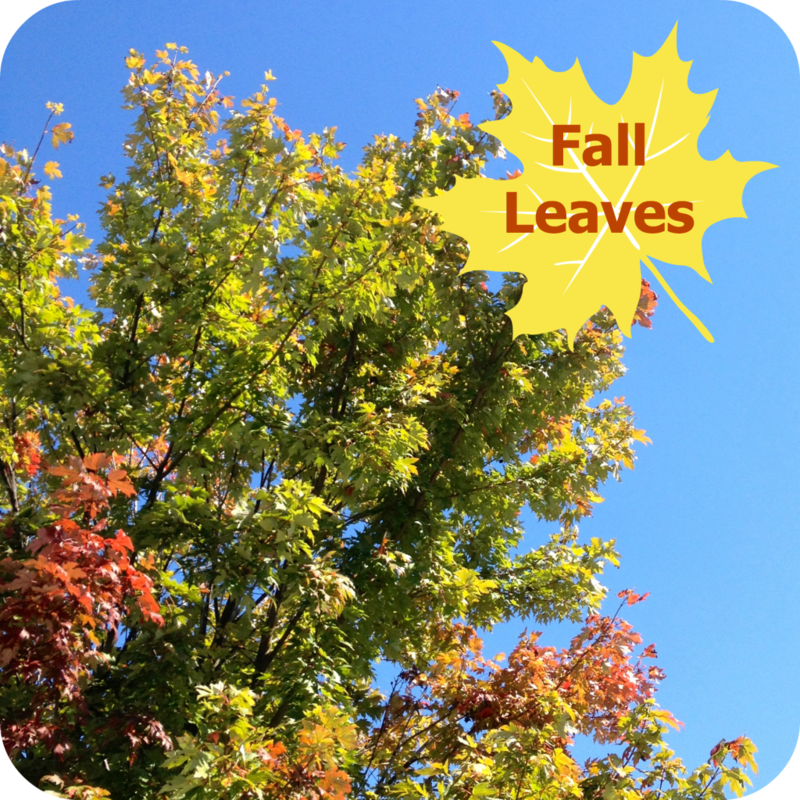 Just add it to our Facebook page and tag it #fallleaves (that’s three L’s). I can’t wait to see your photos! You’ve gotten me excited for the autumn leaves to appear…we had such a dry end of the summer, though, I’m not sure what to expect. Hope you have a brilliant show down your way! Our summer was so wet, we aren’t sure what’s going to happen here either. Hopefully some great pics will come from somewhere. Right? Wow! These are such beautiful pics! Like how you differentiated the 3 states. Very cool to know! Thanks, Lexie. You could do this drive in about six hours — or over the course of a weekend. I love when the leaves change! They are just starting to here in Ohio! Love the pictures! I love that I get the same fabulous color as Ohio but not the frigid cold. 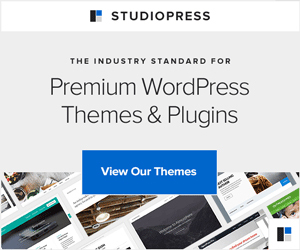 Your 40 is our 50! I’ll keep it. Share a pic or two on Facebook!!!! WOW that picture is gorgeous!! I love me some fall, I had the pleasure one year of flying to Dartmouth right when the leaves were changing and I will never forget that color. Beautiful! 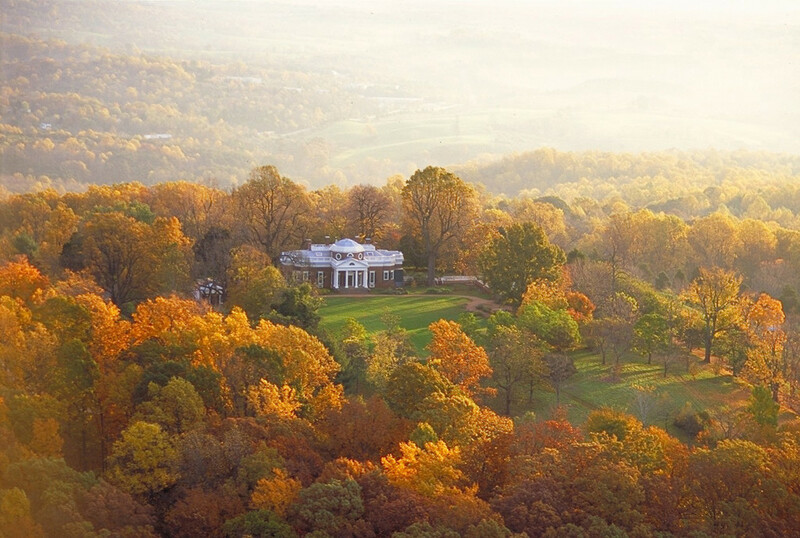 I’m headed to Charlottesville and Monticello in early November — I’m afraid I’ll be late for that view, but looking forward to it just the same. Bright red maples are my absolute favorite. Beautiful picture of your fall leaves. So funny because I also blogged about the fall leaves in my backyard today. I don’t like a lot of things about September, having depression and September being a major emotional struggle for me, but I do love when the leaves change. It is beautiful. From my back porch I can see tons of mountains that are now just covered in shades of red, orange, and yellow. I have tried so many times to get really good pictures of the mountains, but they don’t come out very well which is so disappointing because it is a sight that I really wish I could share, but I think it’s one of those things you just have to see up-close for yourself. Holly, I hope the view brings smiles every time you look out your window. I battled depression for years, so I know that the gray days of winter aren’t the best. Enjoy today! I grew up in the Mountains in Nevada. I never really thought about the Autumn leaves. But now living in Southern California I ofter think about that beautiful slide into winter and feel nostalgic.